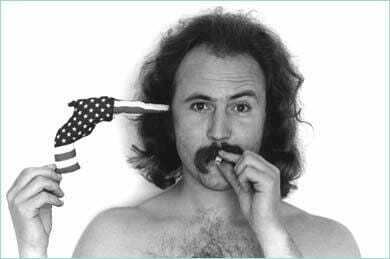 David Crosby, the iconic 1960s hippie singer-songwriter, deleted, but later confirmed a tweet cheering the fire at Trump Tower in New York City Saturday that read, “oh boy……burn baby burn”. ‘Burn baby burn’ is a rebellious chant used by Black radicals, hippies and communist revolutionaries in the Sixties that reportedly was inspired by the 1965 Watts riots. Crosby confirmed he was referring to Trump Tower in a reply to Jeffrey Guterman, who himself cheered the fire. Guterman apologized but still kept tweeting derogatory things such that he was rebuked by Eric Trump. I regret posting about my excitement regarding the fire at Trump Tower and I apologize because it was in bad taste. Go ahead and blame me if you wish. From the start I said I hope nobody is hurt. I just heard there is one severe injury and I am sorry to hear about this. The post ‘Burn Baby Burn’: David Crosby Deletes Tweet Cheering Trump Tower Fire appeared first on The Gateway Pundit.